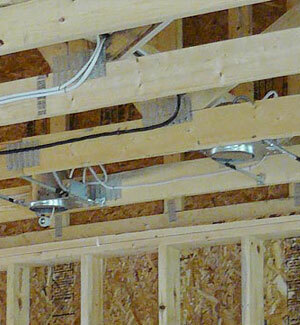 MJ Electrical Inc. is an electrical contractor with specific expertise in commercial electrical projects. 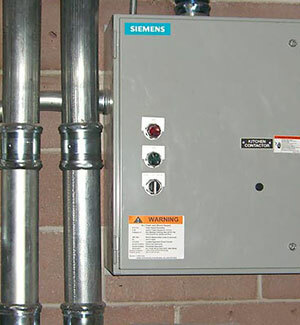 We are capable of managing all phases of an electrical project, and provide a completed job in a timely manner. There are many different reasons why a company may need commercial electric service. With one of the top five causes of workplace death being electrocution, it's absolutely necessary for employers to make sure that the working conditions that they offer are safe for employees. Of course, the reason you may be looking for a commercial electrician may just be that you are upgrading your office, or that you want to expand your restaurant. Whatever the reason is, you need to make sure that the electrical work that you are having done is cost efficient, high quality, and done within a timely manner. We understand that many businesses are worried about how much electrical work will cost, how much the project will impact their company, as well as the timeframe it may take in order to complete larger projects. This is why our staff is specifically trained to answer any and all questions that you may have in as clear, concise, and informational manner as possible. We make an effort to ensure that every estimate we do is as accurate as it can be, and we also make sure that our customers fully understand what the project at hand will require from our staff as well as theirs. And of course, you also can expect your project to be done with the highest level of courtesy possible from our staff members. It is extremely important that you take the proper measures to keep your electrical areas safe and secure. Our company can provide you with a fast, affordable, safe and reliable service that can actually save you tons of money in the long run. When you use our services you can expect to have top notch quality that can also keep you environmentally forgiving without breaking the bank. If you need any kind of electrical work done, please contact us and we’ll be happy to help you with your every need. With many years of expertise in residential electric services, we understand the differences that exist between residential and commercial electrical projects and can effectively complete jobs to suit both distinct needs. We at MJ Electrical Inc. are skilled at creating a plan for home energy efficiency, wiring and installing specialty lighting, fan installation and safety measures such as circuit breaker replacements and childproofing. We pride ourselves on being proficient in overall home electrical safety. From the moment that we answer the phone, we will be happy to answer all your questions in a polite, professional, and friendly manner. After all, we do believe that our clients should be well informed of every step of the electric working process. We make sure that you know all the costs, time frames, and regulations before we start working, and we also make sure you know how to prepare for any electrical project that you want to undertake. This way, you'll be able to plan your schedule properly. Located in Brush Prairie, Washington, we are uniquely positioned to serve both the Oregon and Washington markets. You can have confidence in our reputation and work, with seven years of experience we have honed our skills – we are proficient and capable. MJ Electrical Inc is A rated and BBB accredited. 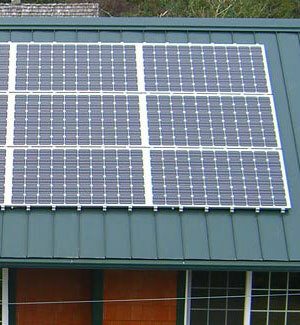 Every home and business can benefit from solar power. When you choose MJ Electrical Inc, your solar panel installation is done professionally and honestly by an experienced solar panel installer. Harnessing solar power is the best use of technology today to battle high energy costs, global warming, and lower your home and business carbon footprints. Call MJ Electrical Inc today and let's discuss how you can save by having a professional solar panel installation on your building.